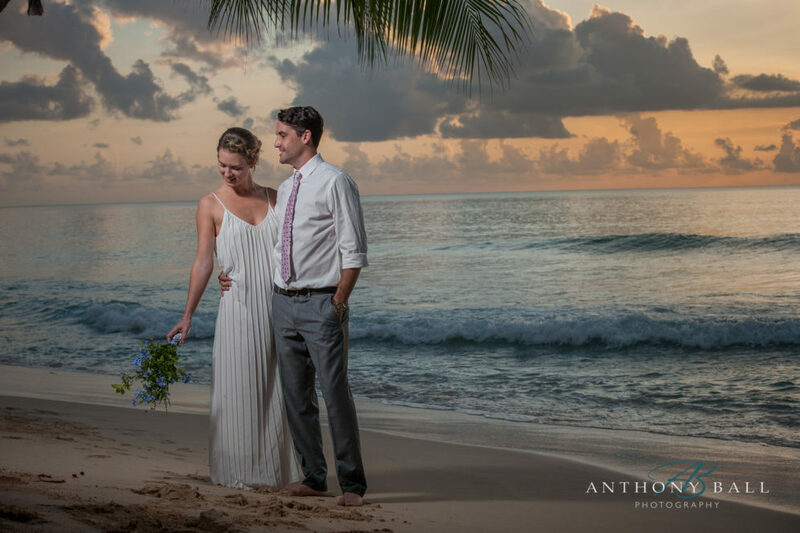 A few weeks after my arrival in Barbados I met with Sam and Daniel to photograph this beautiful Barbados Beach Wedding shoot. As you may know, my wife has recently landed a three year contract to manage Horse Barbados (The Humane Organisation for the Relief of Suffering Equines) and so we have relocated out to the tropical Caribbean Island of Barbados. 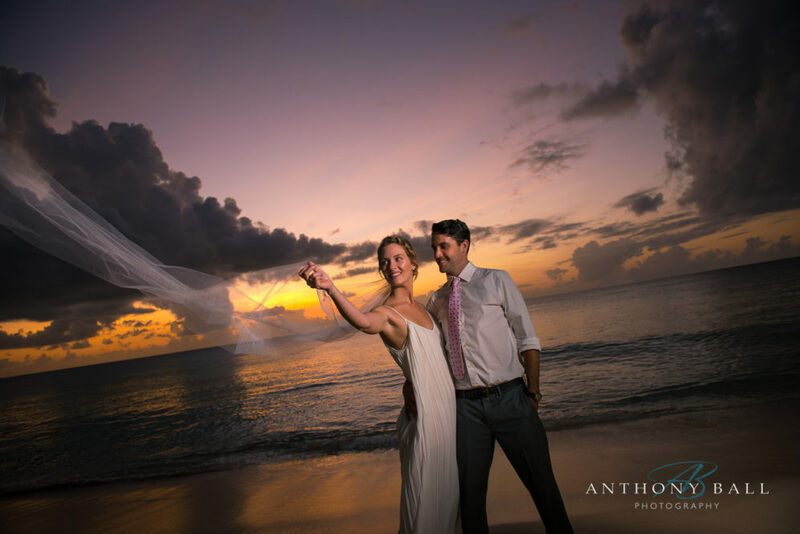 I say relocated, Gill and the dogs are in Barbados while I commute back and forth to UK to fulfil my booked wedding photography commitments for 2017 and 2018. Fortunately they fall into some resemblance of order and I find that I am flying back to UK to shoot 2 to 4 weddings over a 3 to 4 week period before returning to the sun for a couple of months of Destination Wedding and Equine Photography. 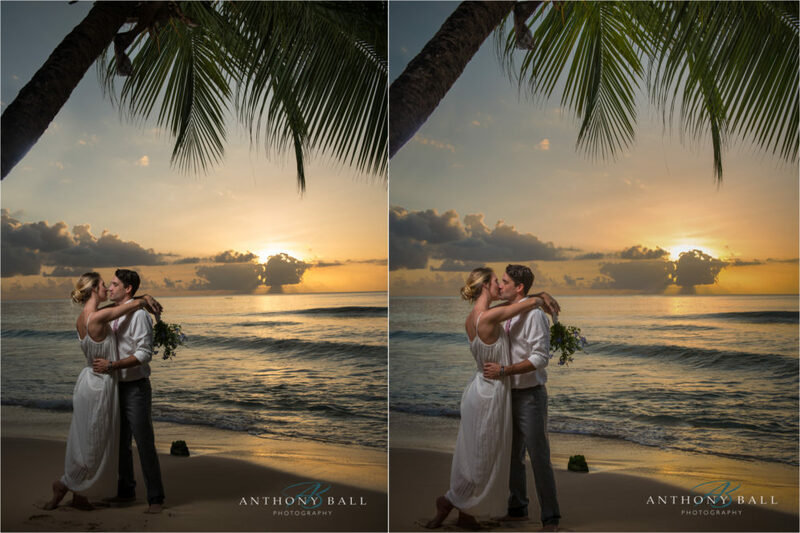 Sam and Daniel are due to be married next October and neither they or I could resist the opportunity to have a small sunset photoshoot followed by a cool rum punch in Ju Ju’s bar near Holetown, Barbados. I’d asked Sam and Daniel to dress for a casual wedding styled shoot on the beach. The temperature was a humid 27 degrees C and there was a light breeze. I’d not met either of the couple prior to the shoot but we had an extensive chat on the phone. I had identified the location and arranged to meet on the sand at 4.30. (Sunset was at 5.15). I arrived 15 or so minutes early with Gill helping me to carry, light and assist in keeping the equipment off the damp sand. At this stage I knew the weather and sea conditions were looking good, despite a really heavy downpour a few minutes earlier. When Sam and Daniel arrived, I knew we had a great shoot ahead of us. Both looked relaxed, in love and I couldn’t have asked for a more beautiful dress. In 40 minutes we captured some amazing shots. This next photograph is my favourite and I am particularly proud of the way it has come out. 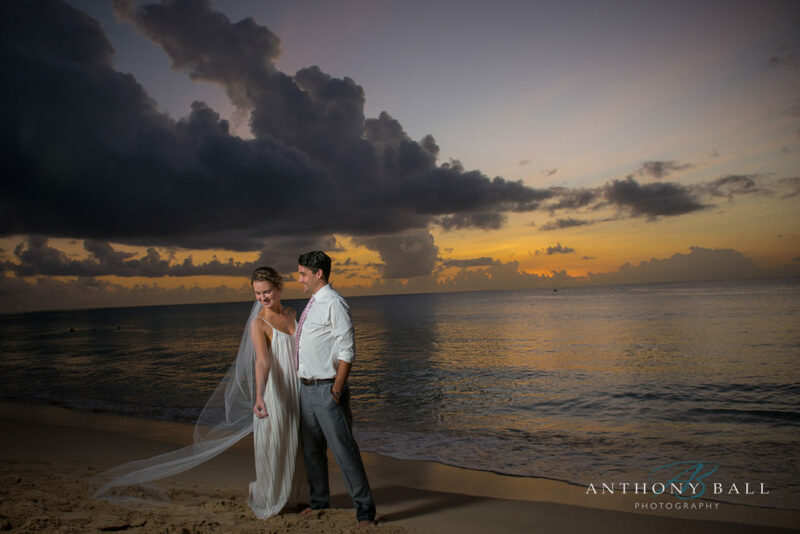 – I think it typifies the image of a Barbados Beach Wedding. In the next few days or so my new website will go live offering a comprehensive Destination Wedding Photography service along with my UK Wedding and International Equine Photography. 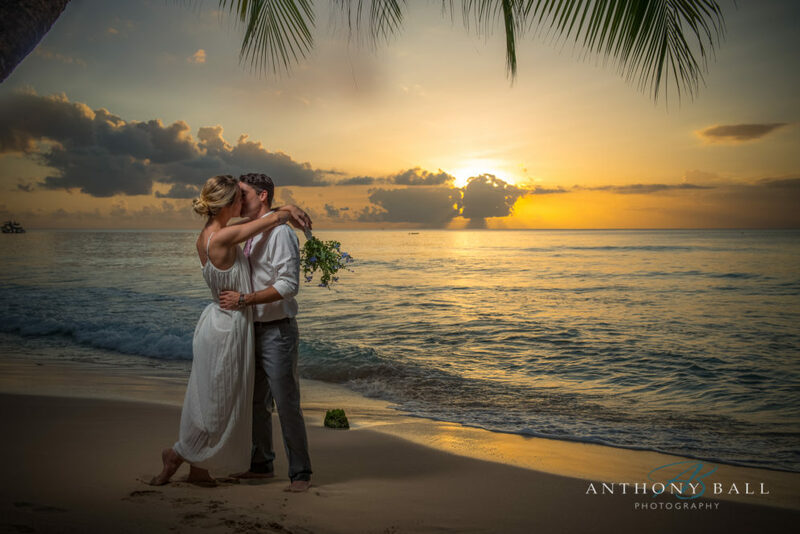 I have already secured my first destination wedding (UK Clients) in Barbados. Please keep an eye on my Facebook Page for updates. Oh, and here is a beautiful slideshow of the shoot. The place is just ~ Stunning! Thanks Melanie. It was and is a stunning place. I’m very lucky to be able to work in such beautiful surroundings.